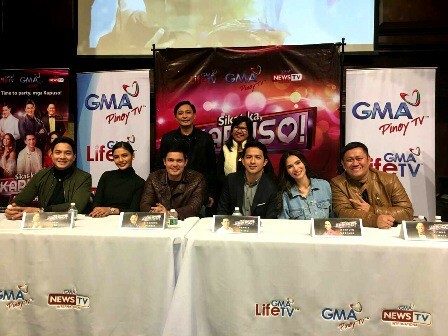 Top Kapuso stars entertained Filipinos abroad for GMA Pinoy TV’s back-to-back show “Sikat ka, Kapuso!” last April 7 and 8 at the Newark Symphony Hall in New Jersey, USA and at the Sony Center for the Performing Arts in Toronto, Canada respectively. Event major sponsors Cebuana Lhuillier and international remittance partners Moneygram and WorldRemit graced the event that featured some of the network’s hottest local artists including Pambansang Bae Alden Richards, Primetime King Dingdong Dantes, GMA Drama king Dennis Trillo, Ultimate Star Jennylyn Mercado, Lovi Poe, and actor-comedian Betong Sumaya. Over 3,000 Ka-Cebuanas from different states flew in to watch the star-studded event and to greet their favorite Kapuso stars in person.